Except for love's sake only. Thou mayst love on, through love's eternity." 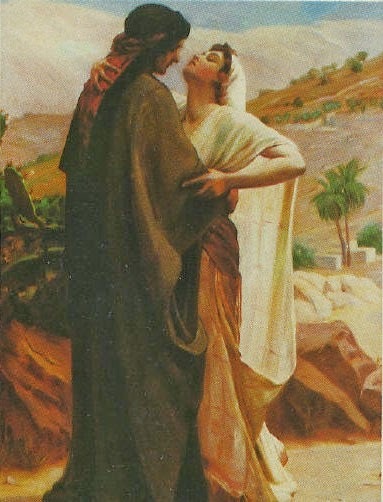 Image: "Passionate encounter" by Frederick Goodall, born on 17 March 1822, British painter. 17 March is St Patrick's Day. Here are some prayers of protection attributed to St Patrick. God's host to save me." Christ in every ear that hears me."